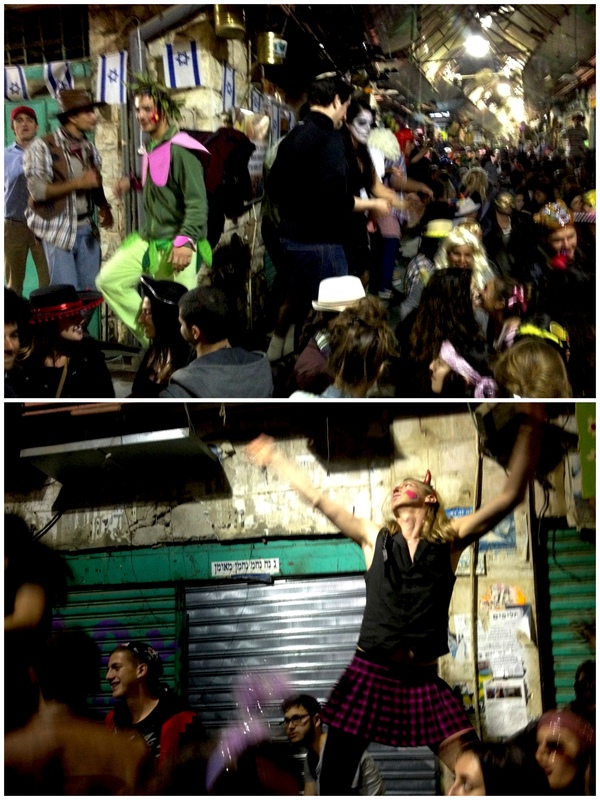 Purim at Machane Yehuda. This is where I buy my vegetables. You were the only 11 year old I knew who slept until noon, and I was impatient to begin our daily projects. The only children of working parents, our summer days before we could drive were spent doing arts and crafts and cooking together….over the phone. Finally awake, you’d call me with instructions or a recipe. I followed your every word, including when you told me I could easily substitute sugar free lime Jello mix for gelatin in a recipe. The resultant frozen green mass with blueberries peaking out through the ice should have been evidence enough that our tele-projects weren’t the most successful, but we continued nonetheless. With an ocean and several time zones between us, our experimental cooking projects continue, and for that I am grateful. With very few constants in my life these days, problem solving through food with you is a familiar comfort. I’ve been lucky enough to get to see you in almost every country we’ve each lived, but our intercontinental projects have provided a wonderful bridge between visits. For the most part, I still take my experimental cues from you…your crazy ingredients, strange dietary restrictions, and yearly cleanses. But, I’m proud to say this culinary idea was mine…..PICKLES! I knew you’d be into it. 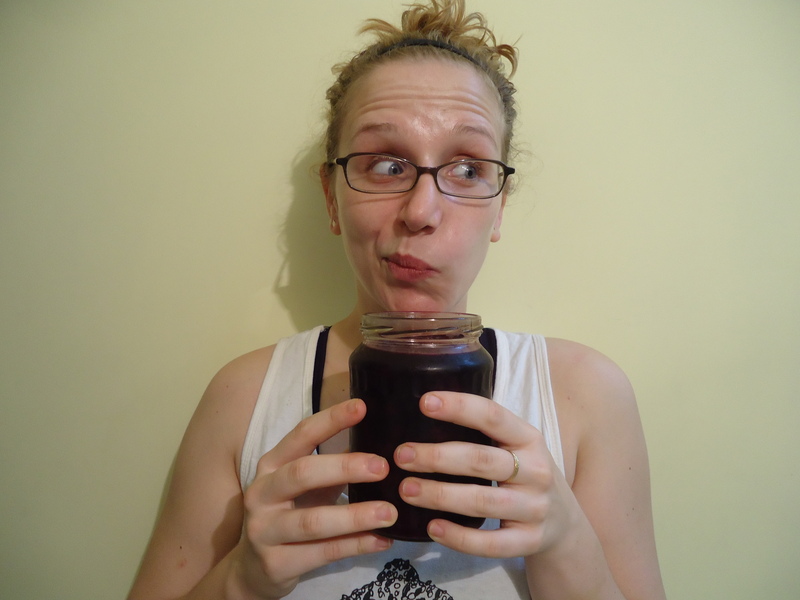 Homemade probiotics has your name all over it! Pickling is deceptively easy, involving nothing more than water, salt, spices and time. I was determined to make something fitting of my Indian context yet reminiscent of the super sour pickles my grandfather loved. So, I pulled out my beloved Indian spices and got to work. The longer these pickles sit, the more saliva inducing sourness you’ll get, so mine have been fermenting for more than 2 weeks and they are still going! I’d been experimenting with pickling for a while before meeting you in Jerusalem this winter. I love pickles that bring the taste buds to attention, but its slim pickings on the sour pickle front in Bangalore and so I’d been trying my own. One conversation while strolling the empty Jerusalem streets one Shabbat, and our long-distance cooking projects were back in full swing. I came back to India full of inspiration and happy to have my partner in crime back at my (virtual) side. Glad our friendship has preserved itself as well as these pickles!!!!! Combine salt and water and stir until the salt is dissolved. Heating the water can speed up the process, but you will have to wait for the water to cool before making the pickles. I’m impatient, so I generally just stir and it works just fine. Next, place the remaining ingredients in a clean jar (1/2 gallon jar works best) and pour the (cooled) salt water over the vegetables, making sure the vegetables are covered but leaving at least 1 inch of empty space at the top of the jar. You can place a small bowl inside the jar, the keep the vegetables completely submerged in the water, but this totally optional. Cover the jar tightly and let it stand at room temperature, away from direct light. 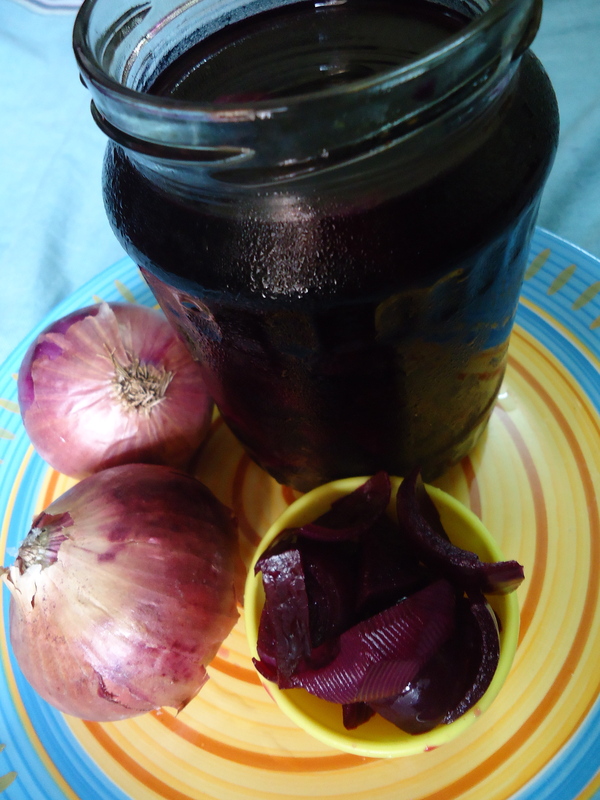 Open the jar everyday to release the gases formed during fermentation and taste the pickle. 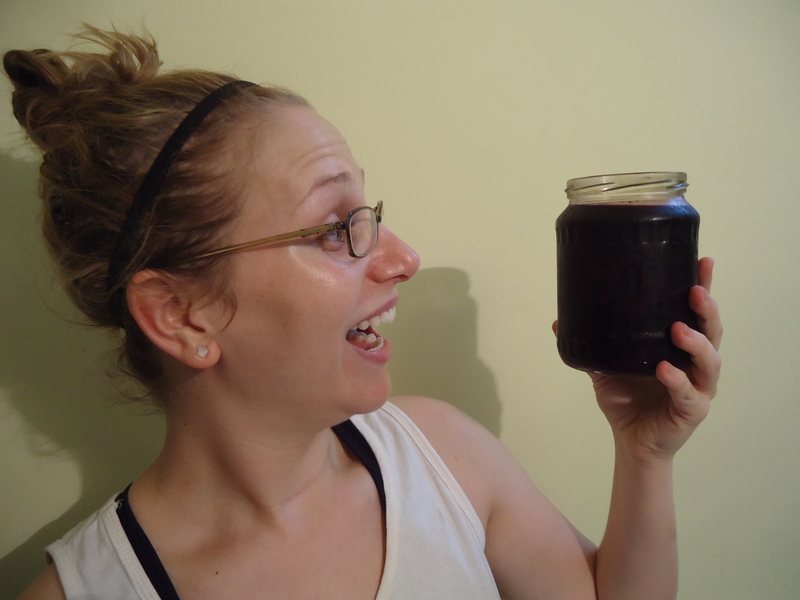 Be careful when opening the jar because the brine will have turned deep purple, thanks to the beets, and those stains WILL NOT come out!! If any mold or film develops on the surface of the water, simply skim it off with a spoon. When the pickles are sour enough for your liking, transfer the jar to the refrigerator where they will keep for months.